Do you ever wonder how to appeal to your financial leaders? Here’s a story that provided me insights into a key pre-requisite for receiving gifts from high capacity donors. Annually our church gathers the top 100 financial leaders at a NEXT dinner where we share vision and strategy updates and offer appreciation for their support. At one of our NEXT dinners I sat next to a man I had never met before. He told me he and his wife had been attending for about a year and that he had a few questions. For the next several minutes he grilled me on our church’s systems and safeguards for handling and allocating gifts as well as our planning and decision making processes. Following dinner our pastor shared a compelling vision with several supporting strategies and tactics that would require significantly above current levels of giving to accomplish. No specific “ask” was made but each invitee was challenged to prayerfully consider how God might be calling them to support the vision. On Monday morning our pastor received a phone call from the gentleman I sat beside at the NEXT dinner. He proceeded to recount his table conversation with “the guy with ink on his sleeves” and how moved he was by the vision, impressed he was with the strategy and how convinced he was that we could implement the vision. He then committed a multi-million dollar gift to the vision. After thanking him, my pastor asked what he meant by “the guy with ink on his sleeves” comment. He went on to share his practice of before giving large sums to any organization of talking with the person in the organization who was responsible for handling the money. He did this to make sure the organization had in place the systems and processes to be good stewards of his gift. The church must establish, communicate and prove that it has the systems, processes and accountabilities in place before they will confidently enter into a fiduciary relationship. There must be concrete strategies, tactics, budgets and staff in place that demonstrate that the church can follow through and make the vision become a reality. 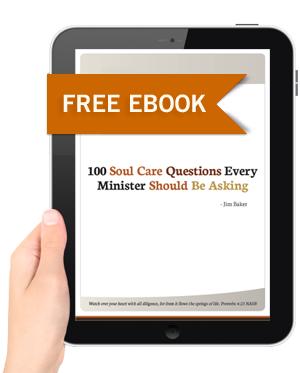 Do you consistently share with your church how you insure their gifts are handled in a trustworthy manner? Do you share your annual church audit? Do you share your checks and balances? Is your church’s vision supported by a concrete strategy, budget and staffing model that insures you can follow through with the vision? 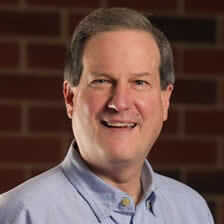 Jim Baker has a rare ability to set biblical management principles for any large or small church initiative and then organize around that initiative while esteeming the roles of the pastor, staff, committee/elder(s), and the congregation. While working with Jim I marveled as he handled thousands of super complex initiatives … It was like watching the staff create an initiative for church growth on paper, then tear it up just for fun and throw it the air. Jim was so organizationally skilled that he could, before the initiative hit the ground, catch, reassemble and hand it back in better shape than when we tossed it into the wind. Seriously, Jim is amazing at moving a church organization forward for the kingdom of God.